The website is operated by DUNGEONFOG KG, Hadikgasse 108/3, A-1140 Vienna - hereinafter referred to as "DUNGEONFOG". The services provided under this platform are provided exclusively on the basis of these General Terms and Conditions (GTC). Operator of the platform and the website is the DUNGEONFOG KG (FN 471986 y), Hadikgasse 108/3, A-1140 Vienna. If you have a problem with the site or the platform, contact our customer service at contact@dungeonfog.com. You will not incur any costs except those caused by the transmission of the e-mail. Customer service will normally contact you within 24 hours. The statutory warranty applies, only the claim for damages is limited according to § 13. Please also note the §§ 12 and 13 with further information on this topic. If you have any complaints, please contact us directly at contact@dungeonfog.com. The terms and conditions apply to all users of the platform (hereinafter "users"). When registering for the platform, the user is requested to accept the terms and conditions. They apply to any use of the platform. After registration for the platform by the user and activation of the user by DUNGEONFOG the platform usage contract is concluded with which the user accepts the terms and conditions as binding. The terms and conditions of any user shall not apply on the use of the platform and its applicability is hereby expressly contradicted. Terms and conditions of a user shall only apply if DUNGEONFOG has expressly agreed to them in writing. These terms and conditions are published exclusively on the website of DUNGEONFOG. The user can load them into his main memory, save them to a durable medium or print them out. Furthermore, these terms and conditions are also stored by DUNGEONFOG. DUNGEONFOG offers the platform exclusively to consumers within the meaning of § 1 Abs. 1 Z1,2 KSchG (Austria) . The use of the platform for profit or other commercial purposes is only possible with prior written agreement with DUNGEONFOG. All persons who have reached the age of 18 at the time of registering for the platform are entitled to use. Minors are only entitled to use if the consent of the legal representative has been given before registering for the platform. By registering for the platform, the user expressly assures that he has reached the age of 18 or - in the case of minor users - the consent of the legal representative. DUNGEONFOG may determine that the consent of the legal representative is insufficient. DUNGEONFOG reserves the right to amend or supplement these terms and conditions at any time, as far as it seems necessary for good reason (in particular adjustments to the applicable laws and legal situation or to new technical developments, closing loopholes, broadening the range of services from DUNGEONFOG).If the amendment seriously disturbs the contractual balance between the parties, the changes will not apply. Changes to these terms and conditions are communicated to the user in a suitable manner by notification. The notification takes place either on the website of DUNGEONFOG, by the opening of a special window when logging into the platform or at its launch, by sending a so-called private message to the user's account (s) or by sending an e-mail to the e-mail address provided by the user. In any case, the user will also be informed of the change by a highlighted notification at the next log in or next start. The user can object to the changes to the terms and conditions in writing within one (1) month after notification thereof. Among other things, the user can send an e-mail to contact@dungeonfog.com, in which he explains his opposition. If the user does not object to the changed terms and conditions within the period of one (1) month after the notification and acknowledgment of such objection by DUNGEONFOG, the changed or supplemented terms and conditions become effective. If the user objects on time, DUNGEONFOG is entitled to terminate the platform usage contract without notice, with the result that the account (s) will be deleted. The original terms and conditions remain valid until the end of the platform usage contract. In the notification of changes DUNGEONFOG will specifically inform the user about the right of objection, the right of termination, the notification period and the legal consequences, in particular the consequences of not using the right of objection. The services of DUNGEONFOG consist of the provision of the platform itself. The date of first access is given in the description of the respective package. Only users who have supported the financing of the platform by purchasing a "DUNGEONFOG - Early Access package” will have access to the platform before its official release. The use of the Platform is restricted to users who have accepted a platform usage contract. For this purpose, the user receives a simple and non-transferable right to use the platform functions in the current version.The scope and duration of this right to use depends on the selected package and is specified in the description of the respective package.The user is not entitled to conclude a platform usage contract. Further details on the conclusion of the platform usage contract is set out in § 4. The platform and its features are constantly being updated, adapted, expanded and changed to keep the platform permanently interesting for as many users as possible. Accordingly, the user receives only one right to use the platform in its current version. No user is entitled to maintain the platform and its functions in the version existing upon conclusion of his/her contract . DUNGEONFOG reserves the right to discontinue the operation of the platform at any time without giving reasons. DUNGEONFOG will announce the discontinuation of the platform operation beforehand with a reasonable notification period. Membership starts with the conclusion of a platform usage contract by DUNGEONFOG. By completing the registration form, the user submits a binding offer to conclude a platform usage contract for a specific or indefinite period, depending on the package selected by the user. DUNGEONFOG accepts the offer by activating the user. The text of the contract will not be saved by DUNGEONFOG when the registration form is sent. However, users will receive an e-mail confirming the acceptance of their offer, which contains the text of the contract. The language available for the text of the contract is that of the respective user's location as determined by its IP address. The registration has to take place personally. Registrations by third parties, in particular third parties who make registrations of individuals commercially with different telemedia providers (registration services or entry services), are not permitted. The user has the opportunity to financially support the platform via the button "Preorder" before the official launch of the platform with the purchase of an Early Access package. The purchase of a DUNGEONFOG - Early Access Package entitles the user of such package to use the platform's than available functions prior to the official launch of the platform. DUNGEONFOG agrees to provide the Users with DUNGEONFOG - Early Access Package access to the Platform prior to its official launch, to the best of its knowledge and belief, on or prior to the estimated delivery date specified on each package (the "Expected Delivery Date"). The user acknowledges, however, that, due to unforeseen circumstances, the development and / or production time may be extended and the estimated delivery date may be postponed, and that said estimated delivery date is an estimate and not a firm commitment by DUNGEONFOG; these events may also cause some of the package items to change or be removed. For the avoidance of doubt, as to DUNGEONFOG's agreement to produce and deliver the Platform to the best of its knowledge and belief, the user agrees that all amounts are non-refundable, regardless of whether DUNGEONFOG is able to deliver the platform or not, and whether the package items are changed or removed or not. 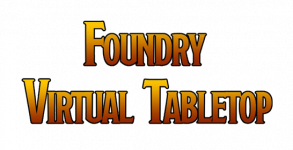 In the unlikely event that DUNGEONFOG should not be able to deliver the platform, DUNGEONFOG agrees to publish a statement of costs on the website detailing the allocation and use of the amounts that make up the platform's costs. Taking into account the commitments of DUNGEONFOG hereof, the User agrees to irrevocably waive any claim for reimbursement for sums set aside for the costs of the Platform as described above. Starting with or immediately prior to the official launch of the platform (currently scheduled for November 2018), the user has the option to purchase a package for the use of the platform or to register as a user via the "Pricing" button. There are a number of packages with different rights to use, different contract durations and user fees depending thereon available. DUNGEONFOG is authorized to request a prepayment for the purchase of a package. The user fee applicable, the scope of the rights of use (features) as well as the more detailed conditions for the respective package can be found on the website of the platform (button: Pricing or Preorder). The user fee to be paid for the use of the platform varies depending on the package selected and the term of the contract. The user fees can be changed at any time. The prices stated on the website at the time of the order by the user are applicable. All prices include VAT (if VAT is applicable). Shipping costs do not apply. The current technical and other requirements can be found on the website of the platform. If DUNGEONFOG incurs chargebacks or cancellations as a result of User-Responsible Conduct, DUNGEONFOG is entitled to discontinue the services and immediately suspend the user's platform account (s). The obligation of the user to pay the fee remains unaffected. The user can achieve the lifting of the lock by paying the owed service fees plus a processing fee. The costs for the re-payment of the owed fee and the chargeback are borne by the user. The costs of the chargeback amount to the equivalent of EUR 5, -. The user is free to prove that no damage or costs have arisen at all or are significantly lower. You are entitled to revoke the platform usage contract within 14 days without giving any reason. The 14 days revocation period starts with transmission of the email (with which the order is confirmed) to the user. In order to exercise your right of revocation, you have to inform us (DUNGEONFOG KG, Hadikgasse 108/3, 1140 Vienna, Austria, telephone +43 (0) 1 992 27 19-0, contact@dungeonfog.com) by means of a clear notification of revocation (eg. a letter or e-mail sent by post). You are free to use the attached sample revocation form; which is however not mandatory. In order to maintain the revocation period, it is sufficient for you to send the notification of revocation within the 14 days revocation period. In case of a revocation of this platform usage contract , we will immediately (but in any event within 14 days upon receipt of the revocation notification) repay all payments received from the user, including standard delivery charges (except for additional costs arising from an alternate delivery type chosen by the user). For this repayment, we will use the same means of payment as the user used in the original transaction, unless expressly agreed otherwise with the user; We will not charge any repayment fees. The user is advised to indicate the name of the user and account in case of a revocation by e-mail in the subject line. The user is entitled to set off with undisputed or legally established claims against DUNGEONFOG. The user can exercise a right of retention only if his counterclaim is based on the same contractual relationship. The assignment of claims of the user against DUNGEONFOG to third parties is excluded. Accounts may not be sold, traded, given away or otherwise transferred at any time or under any circumstances, unless expressly approved by DUNGEONFOG. The user may not share his account (s). The user may not share his password with anyone. Intrusion into the server or website server of the platform. The user agrees to abide by the user rules. With its websites, DUNGEONFOG merely provides a platform for the creation of its own content such as maps or gamemaster notes, as well as for communication among the users. The content is the responsibility of the user. The platform is only used as a tool for creating and related communication. Flooding the communication platform with news, chain letters, pyramid schemes and other forms of spamming is prohibited. Any further use of additional programs, scripts or other aids is expressly prohibited. Disregard of the rules and obligations mentioned in (1) to (5) may be punished with immediate temporary suspension of all accounts, depending on the violation. In individual cases, a DUNGEONFOG employee trained to detect violations decides to the best of his or her knowledge and belief about the consequences of disrespect. The user accepts the decision of the employee as binding. Furthermore, the user accepts that DUNGEONFOG can not disclose the mechanisms for detecting infringements, otherwise these mechanisms could easily be bypassed. Failure to comply with the rules and obligations set out in (1) to (5) may also result in a termination or deletion of all platform accounts or extraordinary termination without notice of termination of the platform usage contract for cause. For serious violations, a warning is unnecessary. A violation is particularly serious if, taking into account all circumstances of the individual case and weighing the interests of DUNGEONFOG and the user, it is not reasonable to wait for another DUNGEONFOG violation. DUNGEONFOG reserves the right, after a permanent blocking or deletion of all Accounts or the extraordinary termination of the platform usage contract, to prohibit the User from re-registering for the Platform in the future. The user has to ensure that the password received for the access is kept secret and to change it regularly for security reasons. If a third party uses a user's platform account after accessing the access data because the user has not adequately secured it against third-party access, the user must be treated as if they had acted on their own. The user is free to prove that he has not acted and that he / she has adequately secured the platform account (s) from external access. DUNGEONFOG will, as far as nothing else is determined by these terms and conditions or other agreement with the user, usually communicate with the user by e-mail. The user ensures that e-mails sent by DUNGEONFOG to the e-mail address provided by him during registration or later communicated to DUNGEONFOG are reached. He will take care of this by setting the spam filter and checking this address regularly. In addition, DUNGEONFOG reserves the right to freely choose the form of correspondence for the remaining written communication. The user is advised to state his player name and account to which his request relates whenever contacting DUNGEONFOG. DUNGEONFOG makes available to the user the use of the platform and the websites of the platform in the existing version. Without prejudice to the deficiencies of the platform or the platform's websites, the user is not entitled to maintain or create any particular condition and / or functionality of the Platform or the Platform's websites. The user is recommended as a contribution to the proper operation of the platform to document any defects in the website or other services or deliveries of DUNGEONFOG always meaningful and report in particular under logging displayed error messages. For the own protection of the user and in particular for reasons of evidence, the user is recommended to address all complaints in writing to DUNGEONFOG. Guarantees in the legal sense are not accepted by DUNGEONFOG, unless expressly agreed otherwise in writing. DUNGEONFOG is liable for intent and gross negligence only. Any liability for slight negligence is expressly excluded. The limitation period for damages is 2 years. The liability for the recovery of data of the user is also limited with the actual costs necessary to restore the data that would have been lost even with regular and adequate data protection measures or even in the absence of regular and adequate data protection measures in otherwise can be reconstructed from machine-readable data material with reasonable effort. The above exclusions or limitations of liability also apply with regard to the liability of the legal representatives, vicarious agents and vicarious agents of DUNGEONFOG. The platform usage contract between the user and DUNGEONFOG will be concluded for a definite or indefinite period of time depending on the selected package. The platform usage contract is extended until further notice for another period (month / year) should it not be terminated before the end of the current period. Any platform usage contract concluded for an indefinite period may be terminated by either party at any time, without stating reasons, with effect from the end of the relevant period (month / year) with immediate effect. The right of the parties to terminate the platform usage contract of use without notice for an important reason remains unaffected by the above provisions. Extraordinary termination without notice for good cause is only permitted if stated. For technical reasons, the final deletion of the user data and the account (s) only takes a few days. Termination of the platform usage contract and / or account must be in writing. E-mails are written. Of course, DUNGEONFOG will treat all personal data transmitted by the user in the course of business relations strictly confidentially and in compliance with the applicable data protection regulations. For technical reasons, participation in the Platform and related services is not possible without user data retention. The user agrees to the electronic data storage and processing by logging in to open a platform account or by using the services associated with the platform tools. If a user desires the complete deletion of his data, this automatically leads to a deletion of all his platform accounts, which he created for tools distributed by DUNGEONFOG, and to the termination of the platform usage contract. For these terms and conditions and all contracts concluded on the basis of these Terms and Conditions, the law of the Republic of Austria applies. The application of the UN Sales Convention on the purchase of movable property as well as the conflict rules of Austrian private international law is excluded. If the user is domiciled or habitually resident outside the Republic of Austria, the seat of DUNGEONFOG is the place of jurisdiction. This also applies if the user's place of residence or habitual residence is unknown at the time the complaint is filed. Should provisions of these Terms and Conditions be ineffective, this shall not affect the validity of the remaining provisions.